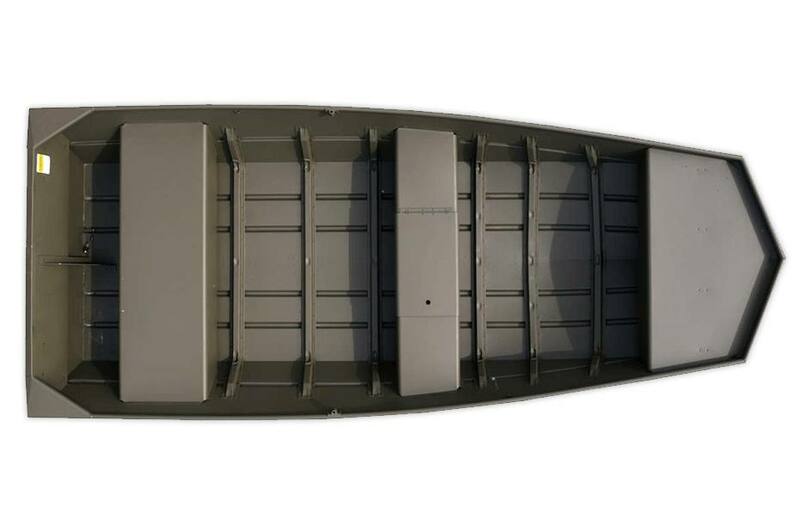 You may work hard a lot, but you deserve some quality time on the water with this no-frills aluminum jon boat. Durable, roomy and with formed-in spray rails for a drier ride, the 1400 CR Jon is a great way to spend some time on the water. Center Seat with Gravity Fed Livewell: Utilize smart storage solutions with a spacious flip top and center seat gravity fed livewell. Available on select models. Formed In Spray Rails: In order to deliver the incredibly dry ride Crestliner is known for, our spray rails are designed into the hull, instead of tack-welded on after the fact like most competitors' boats. Oar Lock Sockets: Turn your CR Jons into a rowboat with ease. Transom Handles: For easy mobility to and from the water. Weight (Boat only, dry): 260 lb. Max Weight Capacity: 825 lb. Aluminum Gauge Bottom: 0.072 in. 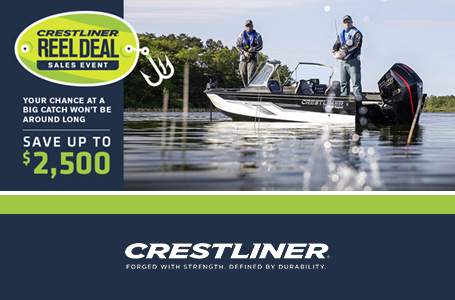 Save up to $2,500 on a wide variety of our new models with the Reel Deal Sales Event. Upgrade your summer from now. It’s the perfect time to buy a new boat and have it ready for this summer. 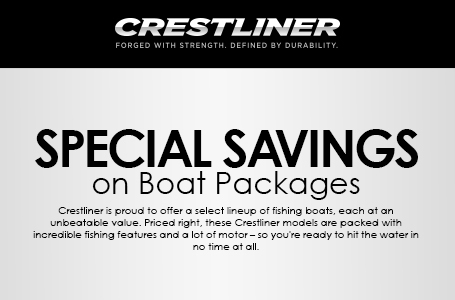 With Crestliner’s legendary strength and durability, you’ll have a brand new boat to make memories with for years to come. Take advantage of our biggest discounts and buy soon, this offer won’t last long. Participating dealers are responsible for a portion of the rebate, and this may affect final negotiated price. See dealer for further details. 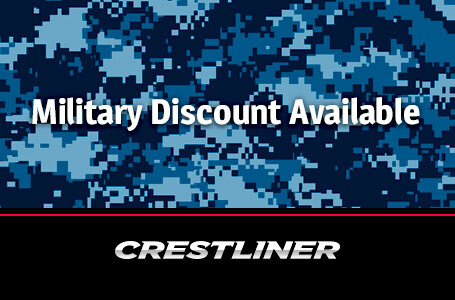 Retail customers who buy a qualifying Crestliner (new, unused, unregistered) during the promotion dates will receive the respective cash off the retail invoice. Offer does not apply to sales or contracts prior to January 2, 2019 or after March 31, 2019. Qualifying product must be packaged with an outboard from Crestliner. Units purchased without motors receive 50% of the applicable credit. Promotion cannot be combined with Pro-Staff, Commercial and Government and Dealer Demo Programs. All prices indicate US dollars.